Most of us already know that cardio exercise is important for a number of reasons. It helps you burn calories and lose weight, it keeps your heart and lungs healthy, and it gives you energy. It can also help prevent and/or manage certain types of cancer, protect you from diabetes, and help avoid metabolic syndrome. Even knowing all these great benefits doesn't make it any easier to get started, especially if you've never exercised or it's been a long time since you tried cardio. The point of cardio is to, of course, get your heart rate up so that you're breathing harder and burning calories. The problem is, that can be really uncomfortable, especially if you've never experienced that kind of discomfort before. So, how do you get started with these obstacles in your path? This step by step guide can help you take the leap and get back to cardio. Choose an activity that you enjoy - This is the single most important thing to do since no one wants to spend their time being miserable. The best exercise for you is the one you'll actually do, not the one you think you should do. Walking is a great place to start since it doesn't require special equipment and you can do it anywhere. 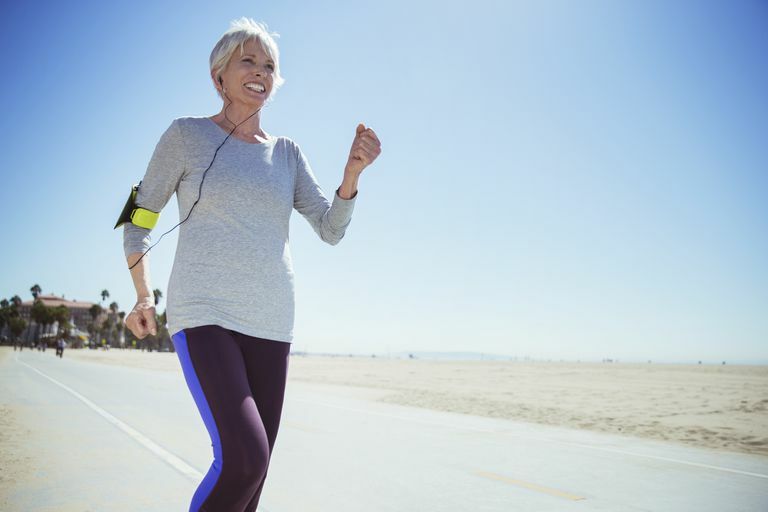 If walking isn't for you, anything will work as long as it involves some kind of continuous movement like cycling, swimming, running, aerobics, rowing, stair climbing, dancing, etc. Keep in mind that any activity may feel difficult, so don't rule something out just because it's hard the first time. It always gets easier. Set up a simple schedule -If you're just starting out, you may not know how much exercise your body can handle. If you're a beginner, a great place to start is with about 3 days of exercise with a day of rest in between. This will allow you to get a feel for how your body responds to exercise and how it feels to stick to a workout schedule. Your body needs time to adjust, but so does your mind. Begin with a 5-10 minute warm-up of light cardio to gradually increase heart rate. Going out too hard or fast will only make it feel worse. Increase your pace and intensity to slightly harder than comfortable (about a Level 5 or 6 on this Perceived Exertion Scale or you can use target heart rate to monitor intensity) and go as long as you comfortably can. Begin where you are, not where you want to be. You may only be able to exercise for a few minutes at a time, but that will change quickly if you're consistent. End each workout with a cooldown of light cardio and stretch the muscles you've worked to relax and keep your muscles flexible. Each week, increase your workout time by a few minutes until you can work continuously for 30 minutes a session. Even if you just increase by one minute per workout, that's enough. It's better to do something gradual than it is to start too hard and then quit. Don't worry about distance or pace. For the first few weeks, focus on showing up for your workouts and building time. You have plenty of time to work on your speed and distance. After 4-6 weeks, change your routine by adding another day of exercise, increasing your pace/intensity, adding a new activity and/or increasing the amount of time you exercise. Make sure you have quality shoes for your chosen activity. Start slowly. Doing too much too soon can lead to injuries and misery. Do what you're comfortable with and slowly push your limits each workout. Try new activities. Once you get used to working out, change things up. Doing the same thing can lead to plateaus, boredom, and injuries. You might want to stick to the same activity for awhile, which is fine. But once you've perfected that, it's easy to get bored. Be ready for exercise by feeding your body regularly throughout the day and by staying hydrated. Take extra recovery days if you feel sore or tired. Every week is different. Sometimes you'll have more energy than others, so go with that and do what you need to do for your body. Try these hacks to make your workouts more intense and effective. When doing cardio, you should learn how to monitor your intensity to make sure you're working effectively. Using Your Target Heart Rate Zone - By calculating your THR, you can use a heart rate monitor to track your heart rate and make sure you're staying in the most effective heart rate zone. Perceived Exertion - You can also just monitor how you feel throughout your workout, ranking it on a scale of 1 to 10. A moderate workout should put you at about a level 5 or 6, a level that feels like exercise but isn't out of your comfort zone. The Talk Test - This one is simple — if you can talk easily while you're exercising, you can probably push harder. If you can talk in short sentences, you're right at a moderate pace. If you're breathless, you're well out of your comfort zone. That's fine if you're doing interval training, but you don't want to spend your whole workout at that level. Variety will keep your body and your mind challenged, so after the initial conditioning period (about 6 weeks of consistent workouts), vary your workout intensity and time. Each week, do a long, slow workout—45-60 minutes at the lower end of your THR and one short one—20-30 minutes at the higher end of your THR. Your other workouts can be between 30-45 minutes, in the middle of your THR. However, you start, keep it simple. You don't have to run for an hour to get a good cardio workout. Pushing too hard can make you miserable and no one likes that. Give yourself permission to do what your body, and your mind, are ready for. Remember, you have to start where you are, not where you want to be.